Best financing solution for all export needs. Risk-free finance. No collateral. Low interest rates. TDB InstaMoney is a comprehensive financial solution to all your working capital woes. It's a custom-made enabler that ensures you don't miss out on an export opportunity just because you are running short of cash. What's even better is it warrants tension-free exports by mitigating risks related to payment delays and defaults by overseas buyers. And there’s nothing complicated about it. TDB InstaMoney is a simple, yet complete, package of services designed to help you scale new heights in global trade. 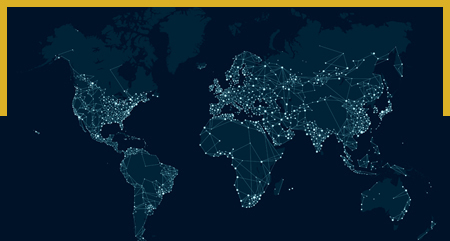 From investigating the creditworthiness of buyers to collection and management of accounts receivables, from taking on the credit risk to 100% protection against write-offs, InstaMoney takes care of all aspects of export financing. Improves liquidity: InstaMoney allows you to free up cash that's trapped in your outstanding invoices. You can receive up to 80-90% of the invoice value up front and improve your business’ working capital position. Increased liquidity also reduces the business' operating cycle, resulting in higher production, sales and profit. No collateral required: If you're worried about arranging for collateral, don't be. 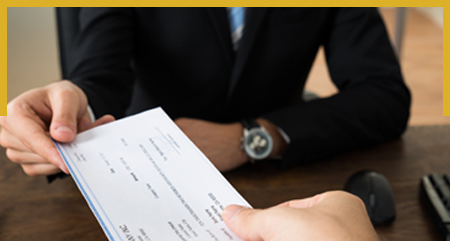 No collateral is needed to avail finance as funding is directly linked to the invoice value and the reputation of the foreign buyer. Low interest rates: Since the discount/interest rate is linked to LIBOR (London Interbank Offered Rate), the cost of finance availed under InstaMoney is typically lower than the cost of funds attached with conventional financing options. Even if cashflow isn't an issue for you, InstaMoney can prove be a cost-effective method of reducing your overheads. Flexible Open Account Terms: : In today's fast-moving world of international trade, buyers are not interested in a deal that puts the financial burden on their shoulders [as has been the case with traditional financing options like Letter of Credit (LC)]. Through InstaMoney, exporters can offer buyers more competitive D/P (Documents Against Payment), D/A (Documents Against Acceptance) and Open Account (O/A) payment terms. This can help them tap new buyers and increase their exports turnover. Choice of currency: Provides option to avail funding in either EURO, USD, GBP or INR. The facility to choose currency paves way for smoother, and probably less expensive, transactions with foreign buyers. Credit protection against buyer defaults: InstaMoney provides you the peace of mind you require to focus on expanding your business unlike most of the conventional financing options that come without credit protection against payment defaults. Access to MIS reports: InstaMoney is an off-balance sheet mode of financing. Hence, it does not create a liability on the balance sheet or encumber assets. This means you can continue enjoying the “debt free” business status. Boosts negotiation power: Thanks to availability of open account terms, InstaMoney places an exporter on a strong position to negotiate increased business volumes. Shrug off all your financial worries and start exporting fearlessly with TDB INSTAMONEY. Contrary to perception, the simplicity of the process and the time and cost effectiveness that it offers are the biggest advantages of factoring. Alongside, export factoring offers additional advantages compared to exporting under an ECGC policy as the exporter benefits from the knowing about the buyer’s credit assessment too. 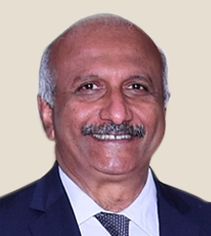 TUSHAR BUCH, MD & CEO, SBI GLOBAL FACTORS LIMITED. With factoring, exporters will get funding immediately on their post-shipment sales. If we factor the export receivables of a company in India, the import factor guarantees payment even when the buyer fails to make the payment. So, the exporters have the comfort that all their proceeds are credit covered and credit guaranteed. The next advantage is that the export bills are instantaneously converted into liquid cash. 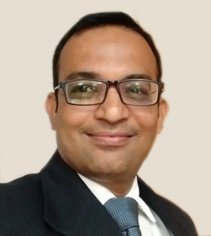 AMIT KAUL, SENIOR VICE PRESIDENT – IT, INTERNATIONAL FACTORING & HR, IFCI FACTORS LTD. In factoring, transaction history does play a significant role. Hence, the observation is largely correct as far as witnessing regular orders is concerned. However, the requirement of the order being large does not hold much water. If the factor is confident of the buyer (importer), depending on the factor's specific product structure, factoring can be availed by startups with limited vintage and small order sizes as well. 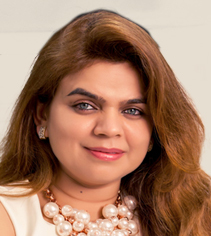 VAIBHAVI THAKKAR, CO-FOUNDER & CEO, BLEND FINANCIAL SERVICES LTD. Thanks to non-recourse export factoring, exporters can have immediate cash-flow access of up to 85% of the value of debtor invoices, which can be used as working capital without requirements of collateral. Our current factoring scheme is basically intended for the MSME sector. Once the requisite documents and fee are submitted, client assessment and buyer assessment is done. 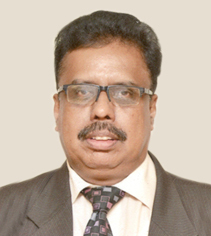 V. DHARMARAJAN, EXECUTIVE DIRECTOR, ECGC LTD.
Factoring can be equally used by both large as well as MSME exporters. From an MSME perspective, this would help them in getting cash faster and making working capital management more efficient. Given that factors finance on the basis the underlying transaction, due diligence on past track record with respect to receivables is key. Further, factoring is operationally more intensive than a short-term loan. 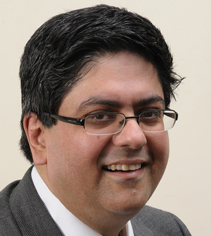 VIKAS JHA, SR. VP & HEAD – PRODUCT MANAGEMENT (TRADE & SUPPLY CHAIN), DBS BANK LTD. Export factoring comes primarily from SME exporters who need export factors to mitigate the risk of non-payment, finance working capital requirement, as well as need a method to collect receivables. Typically, in most of the countries, the export factors educate the exporters on the need to sell on open accounts to secure sales. 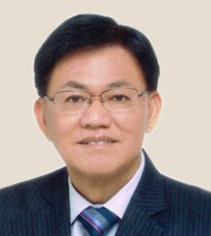 LEE KHENG LEONG, ASIA CHAPTER DIRECTOR, FACTORS CHAIN INTERNATIONAL (FCI). There is an increasing trend towards catering to MSMEs with banks offering factoring, which was earlier offered by NBFC factors. Factoring, as a product, meets the requirements of an exporter to avail open account financing and combines credit risk protection and collection services. Factoring is best suited to clients who offer open account payment terms to their buyers as it provides an alternate source of borrowing. 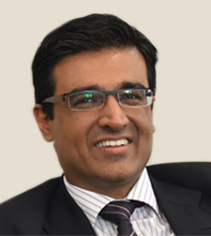 ASIT OBEROI, GROUP PRESIDENT & GLOBAL HEAD, TRANSACTION BANKING GROUP, YES BANK. The interest rate for export factoring range from LIBOR plus 200 basis points to 500 basis points, which is cheaper compared to rupee funding. Export factoring is post-shipment finance which will give three types of services: finance, cover and follow-up (management of receivable) by the factor. So, export factoring is more suitable for the continuous business relationship of buyer and seller on open account terms. 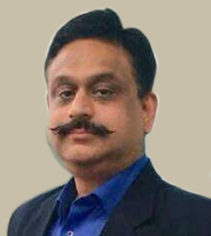 KAILASHKUMAR VARODIA, CFO, RECEIVABLES EXCHANGE OF INDIA LIMITED (RXIL). 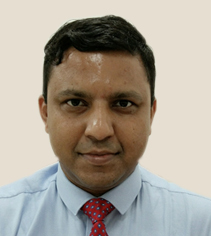 RAVI VALECHA, HEAD OF BUSINESS, PRODUCT & FI NETWORK, INDIA FACTORING & FINANCE SOLUTIONS. IS YOUR FOREIGN BUYER NOT PAYING UP? Recovering exports receivables isn’t a straightforward exercise. But at TDB, money knows no borders. We recover what’s due to you. Simple. 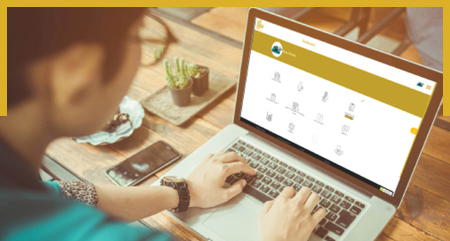 Tailor-made for Indian exporters, TDB’s proprietary Artificial Intelligence technology-based buyer and seller identification system helps you make big data-driven export business decisions in nano-seconds! An all-in-one Dashboard that helps you easily monitor all your EXIM transactions from one place. RFQs, analytics, buyers, sales... manage everything on the go!